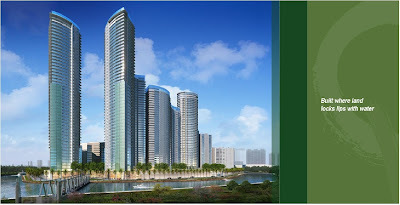 With it’s grand 10-hectare development by a riverside that boasts of 70 percent open space, Circulo Verde, a residential hub in Bagumbayan, Quezon City, is indeed by far the most ambitious project done by Ortigas & Co.
Ortigas & Co., the developer, which has more than 80 years of experience building known residential and shopping areas like Greenhills, Greenmeadows, Greenhills Shopping Center and Tiendesitas, has set its brilliants eyes on a piece of property that features the advantages of Marikina River as backdrop and a location very near commercial business districts and schools. Commissioning DCCD Engineering, a company with 50 years of experience in hydrology and flood control, to conduct a comprehensive technical pre-engineering study to ascertain the geographic soundness of the site, Ortigas & Co. is happy to share that DCCD’s final report was their basis for a final evaluation and recommendation for the type of structural foundation to be used for the development of Circulo Verde to ensure the safety of the residents. Structures in Circulo Verde were designed in accordance with the latest edition of National Structural Code of the Philippines (NSCP-2001) and The Uniform Building Code (UBC), hence DCCD Engineering also conducted seismic studies based on ground condition and proximity to the fault system. As for the anti-flooding technologies, flood protection technologies were also part of the Circulo Verde’s site development plant. Anti-flooding features of the project include the construction of a perimeter wall on the riverbanks to ensure not only a defense against rising currents but also to prevent soil erosion. The whole Circulo Verde property was also elevated from 8 meters above the level of the Marikina River. A smart drainage system was also installed, that includes the construction of an interceptor canal, which is 1.5 meter x 1.5 meters to intercept and convey the surface flow of water (during heavy rains) from Calle Industria and possible flood over flow from the Marikina River upstream of the Felix Manalo Bridge. The interceptor canal will discharge its flow to the Pasig River at the northwest corner of the property (downstream). In addition to the detention tank system for flood mitigation, an automated pumping system is also on its way to adequately drain water volume that may accumulate or will be trapped inside the dike system even at high flood level condition of the Pasig-Marikina River. The water collected at these detention tank, once it filled up the tank, will be discharged slowly to Marikina River through automatic flood gates ensuring the safety of not just Circulo Verde's residents but as well as the other communities living around it. And finally, to ensure vehicular safety and security, Circulo Verde offers parking spaces above ground only. There are two levels of above ground parking for the entire phase 1 now, so expect more to come for the whole community. And for more earth-friendly and greener living, apart from the anti-flooding system, energy-saving features were also adhered to in the development. For example, majority of the units are designed to have balconies to maximize natural light coming from the outside. Hallways are also designed to have a cross-ventilation system. “Range hood and bath fans are vented to the outside and operable windows are also installed in all units. 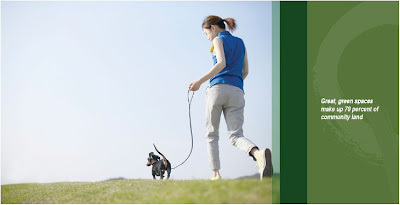 In the long run, the resident would get various benefits of good indoor air quality such as the preservation of the building structure itself, and finish, controlling musty utility areas, as well as reduced cooking, bathroom, smoking, and pet odors. Additionally, this would help in reducing the presence of allergens and molds,” said Santos. A waste management and waste-water treatment facility will also be put in place. The facility, in addition to reusing and recycling water, will decrease water pollution from storm water runoff and household sewage. Residents of Circulo Verde will benefit so much from this because it includes a reduction in incidence of possible diseases as well as tangible improvements in water quality for irrigation and non-potable uses. 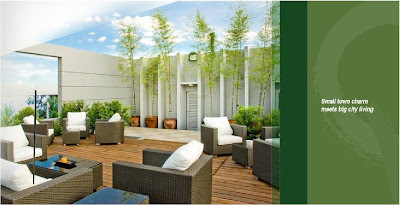 To know more about this thriving community in Quezon City, you can read more at http://www.circuloverde.com.ph. You can also follow them Facebook (https://www.facebook.com/CirculoVerde.Ortigas) and on Twitter (https://twitter.com/Circulo_Ortigas).